KUALA LUMPUR, Jan 11 (Bernama) — If you are feeling a little under the weather or come down with a sniffle or find yourself aching all over, what do you do? Grab your smartphone and consult Dr Google? The search engine is, no doubt, a good tool to scour the Internet to find recipes, diet tips, weather report or just about any information on any subject. But to entirely depend on it for information and advice for health issues is going too far as Google does not necessarily have all the correct answers. It may get you the recipe you want or an accurate weather report, but the exact diagnosis and prescription for your health ailment? Not likely and, beware, adhering to the online doctor’s medical advice may land you in further trouble. Commenting on this, Malaysian Doctors Club President Dr Muhammad Hakim Nordin said some people have the tendency to think they need not consult a doctor as they could “google their symptoms” and rely on the information that pops up on their screen. He said by typing keywords like fever or joint pain, a google search would reveal a wide range of possible ailments, including serious ones, and their symptoms. “Reading all that information will make the patient even more anxious, more so if the list of ailmentsinclude cancer or other serious diseases. “It’s important to know that any Internet search can only yield information on common diseases, which may not be applicable to the patient concerned,” he told Bernama. Dr Muhammad Hakim said the so-called informed patient would have doubts if the advice given by his regular doctor contradicted the information he had retrieved from the Internet. 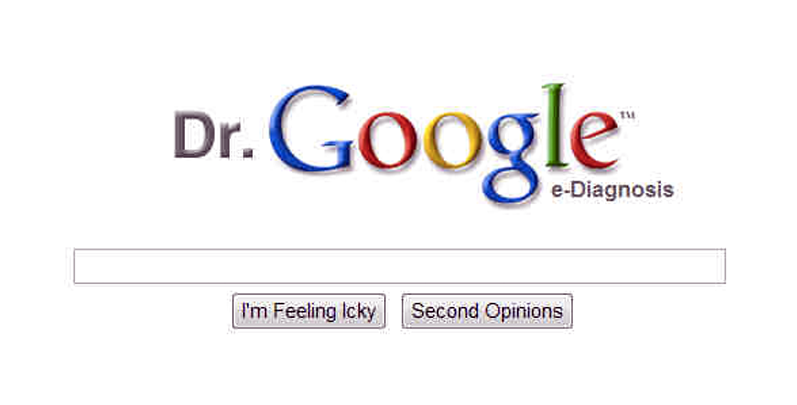 He said the “Dr Google” issue has been confronting the world medical fraternity for many years now, to the extent of patients disputing their doctors’ findings. “Problems often arise when patients start questioning their regular doctors’ decisions and treatment methods – this is happening almost daily now at various levels at both public and private health facilities. “This is a serious matter because it appears that the public has more confidence in the Internet rather than the actual consultation, examination, tests, results and medical treatment prescribed by the doctors,” he said. He said the patient’s treatment and recovery may be compromised if the patient-doctor relationship was less than cordial. “The basis of a healthy doctor-patient relationship is trust and respect. If this is absent, the patient may not be receptive to the advice and treatment prescribed by the doctor… so how will the patient get the best possible treatment? “Such a trend may also lead to an increase in the number of people suffering from chronic illnesses like hypertension or diabetes,” he added. Dr Muhammad Hakim explained that while symptoms like cold, joint pain, vomiting and diarrhoea were usually caused by viral infections, they could also be signs of a more dangerous disease like dengue. “If not detected fast, dengue sufferers face the risk of developing dengue haemorrhagic fever. It’s vital for everyone to know that they can’t pinpoint their ailment based on their symptoms alone. Further examinations and lab tests have to be carried and the doctor also has to find out about the patient’s medical history before ascertaining what the patient is suffering from. “Any misinterpretation (of the symptoms) can be detrimental to the patient and increase his risks. The interpretation should be left to informed and, more importantly, experienced people like doctors,” he said. Urging Internet users to be able to filter the health information that they read, Dr Muhammad Hakim said not all the articles were written by health personnel like doctors, nutritionists or nurses. “Their articles could be based on their own experiences or that of their friends or family members and their testimonies are too weak to be used as reliable reference material. “On the other hand, sites belonging to PubMed Health, British Medical Journal and New England Journal of Medicine are credible sources of information as they keep updating their input in line with the latest research carried out by recognised bodies,” he said. Reminding Internet users that social media was a platform for them to communicate with each other, he said it should not be used to spread health-related information, especially unverified reports. “Don’t believe everything you read… get confirmation from the experts,” he said.